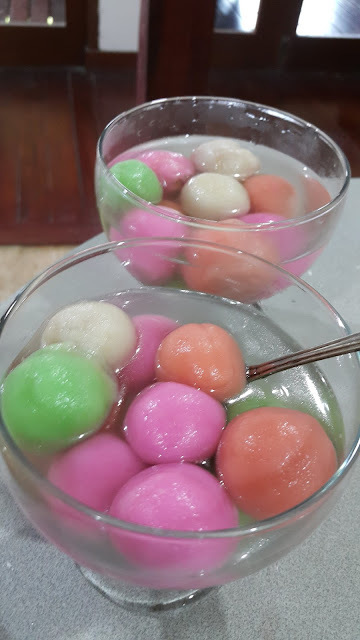 My 2016 Tong Yuan, I make this once a year on the 22nd December which the Chinese celebrates Winter Solstice Festival. 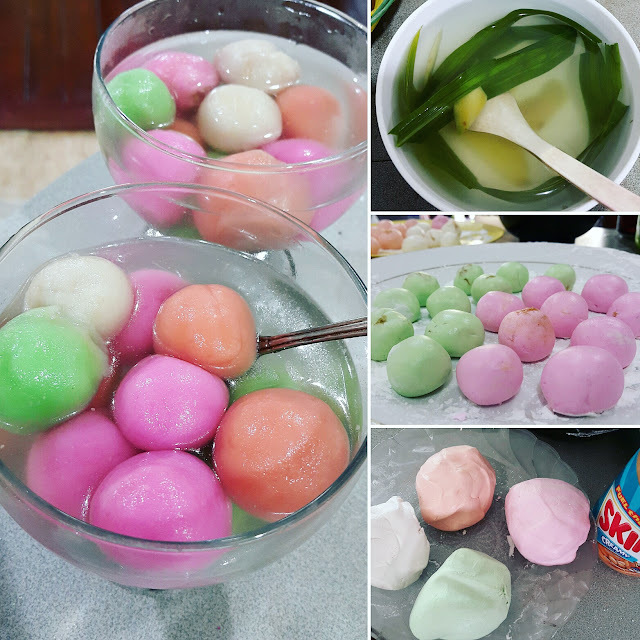 I like my Tang Yuan this time, it appears to be more presentable and beautifully round with clear syrup soup, i could see them more clearly too. I love filling Tong Yuan, so i make a batch of Tong Yuan with smooth peanut butter fillings, its so yummy! * In a bowl, add glutinous rice flour and sugar. 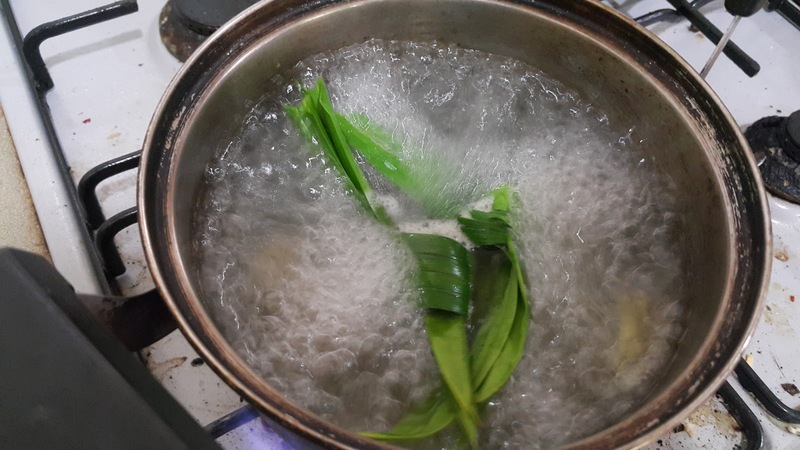 Gradually add in the water while mixing, if you find dough enough flexible, stop adding water. Dough is done when it is not stick on your hands. If too dry, just add some more water, if too wet add more flour. * Dust plate with glutinous rice flour to prevent from sticking, Separate them ino 2 or 4 portion depending on how many colors you want to make. * Mix coloring set each portion on the plate. Pinch the dough into small ball. 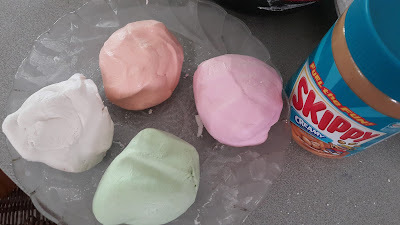 Roll into ball and flatten on palm add in Peanut Butter or any filling you prefer. 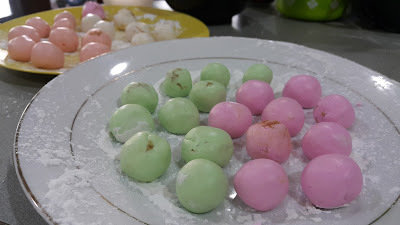 * Roll into ball and set on a serving plate with flour continue until finish. 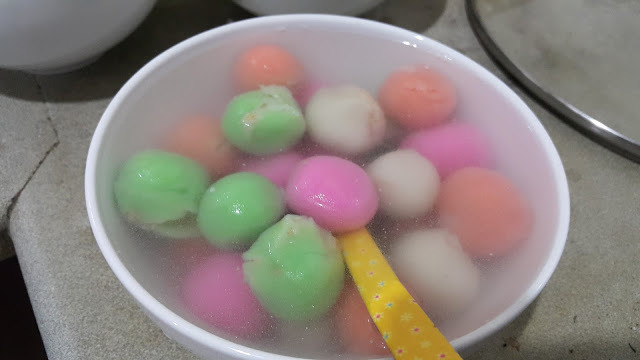 * In a soup pan boil water till boiling hot add in tong yuan and stir balls while dropping balls into water to prevent from sticking to the bottom of the pan. * Transfer to a bowl of cold water or direct to syrup. 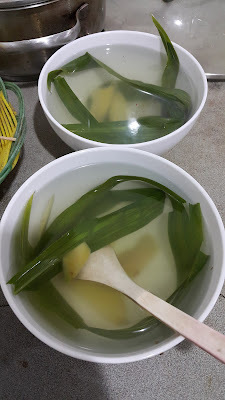 * To make Syrup Soup - In a Soup Pot, boil water in a pot, add in pandan leaves and ginger bring to boil on medium heat until it smells and aromatic. Add in sugar and let it simmer until sugar melted.